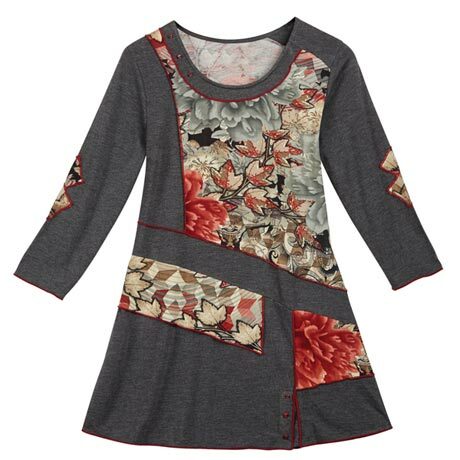 Quiet beauty in gray and a floral leaf pattern, pieced and joined with contrast stitching. 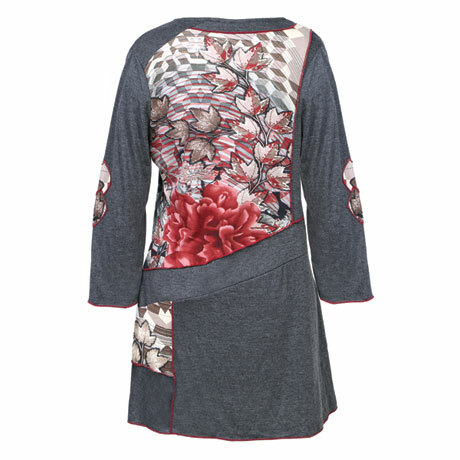 Tunic has a scoop neck with three decorative buttons, 3/4-length sleeves, and slight A-line shape. 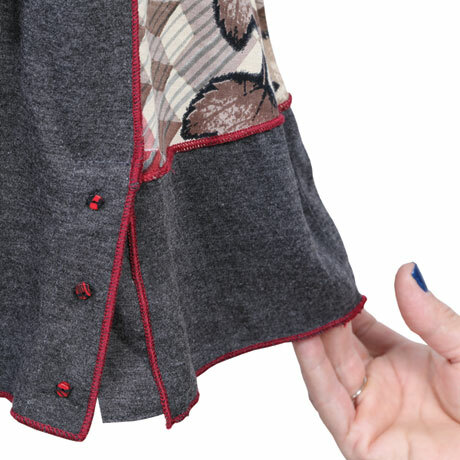 A 4" vent at bottom left is embellished with three more decorative buttons. 100% rayon, sizes S(6-8), M(10-12), L(4-16), XL(18), 1X(18-20), 2X(20-22), 3X(22-24). Size M hangs 31". Machine wash. Imported.